I would like to sell my rifle. How much is it worth? A warning upfront - the contents of this article may be offensive. Here I will be making an estimate - a judgment! - of what your prized possession might be worth. Upfront I would like to apologize and humbly ask you to not take it personally. Pricing is a touchy subject in general. Over the years, I've bought and sold hundreds of guns, both as a collector and as a firearms dealer. I have observed thousands of auctions, ads on national and local gun boards, and hundreds of tables at the gun shows. Universally, the guns that sold were the ones priced well below the retail price. And, unfortunately, the ones priced at or close to retail did not usually sell at all. It is important to note that when I say "retail", I do not mean MSRP - I mean prices at places like Cabela's. I also have to point out that Cabela's prices are more often than not better than the prices at the local "Mom and Pop" firearms stores - and almost always if you buy what they have on sale. And they are of course quite a bit below MSRP. So why is it that prices in the secondary market are lower? It's a competitive markets. Dealers compete on convenience and discoverability. They have storefronts. They have web sites. They have knowledgeable employees that would help with selection. They will locate and order the firearm you need if they do not happen to have in in stock. The merchandise is new. It is covered by manufacturer's warranty. It is less likely to suffer from an "adverse selection" process where good product tends to stick with the original owner, and lemons end up for sale over and over and over again. An individual seller does not have the advantage of all these investments that the dealers have made. More often than not they do not also have the luxury of having the inventory sit there for weeks waiting for the customer who wants it. They, therefore, must compete on price. And not just compete - WIN. I offer three price estimates. One is a "giveaway" price. At this price your gun will sell within a day or two. The second is a "fair" price. It's more fair for you, the seller, without being too bad for the buyer - but as far as the buyer is concerned, it is not a "deal". It may sell, or it may not. You might have to wait for a few weeks, and maybe even lower it. The third price is close to what a dealer might be selling it for. It is extremely unlikely that it would sell for this much in a secondary market. The data came from many years of observations of many sources - online forums, local boards, internet stores, gun shows, Shotgun News, and GunBroker. It is not corrected for transaction costs of an online purchase, such as shipping, FFL transfer, and taxes. Two effects, however, diminish this gap. First is human psychology - people remember the number they've seen online, and then they measure local prices by that yardstick. They forget that shipping this pistol here and having it transferred would cost another $70. Second effect is objective. 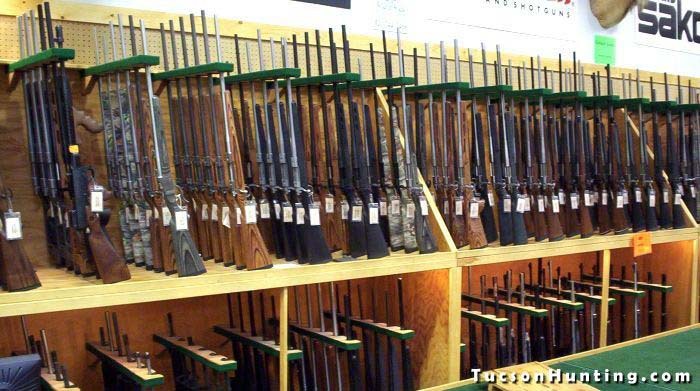 Pacific Northwest gun market is rather small, so the demand is lower. So firearms have to be priced lower to compete in the market where supply outstretches the demand. With that - on to the data, and please, please, please - DO NOT SHOOT THE MESSENGER! We do FFL transfer for only $25! SKS prices depend a lot on the country of manufacture, the condition of the rifle, and whether it is in its original condition. If you are unsure what country your SKS is from, refer to this page: http://www.hk94.com/sks-rifle.php. The key to understanding SKS pricing, first and foremost, is the realization that SKS is today primarily a collector item. 15 years ago when you could buy an SKS for $80 it made total sense to outfit it with a scope, a synthetic stock, and make it into either a ninja "assault" gun, or a deer rifle. Today, however, an average SKS is priced firmly within the range of new US-made firearms. So while you could buy it to hunt, because one can also buy a Savage AXIS rifle for roughly the same amount of money (for instance, here) - and it will be a better (lighter, more accurate) rifle - most people don't. Therefore, most people who would want to buy your SKS are collectors. They may still shoot it, but the primary value of the gun to them is in its essence as an original military firearm. They want the rifle in the original condition, unmodified, with all parts stamped matching. So if you have replaced the stock and the receiver cover to mount the scope, your rifle will sell for a lot less unless you have kept the original parts. The same goes with the bayonet. A bayonet makes absolutely no sense for a shooting rifle, and many people removed and then lost or sold it (and a number of Chinese-made SKS were imported without one). Replacing a bayonet costs $20-$30, so a rifle without one would be cheaper by about the same amount. SKS is called stamped-matching if the numbers on the receiver cover, the receiver, the trigger guard, the magazine, and the stock match. Note that some models have some of the above parts unnumbered. This is fine because this is how the rifle left the factory. That does not reduce it's value. Many rifles will have numbers that are electro-penciled. This usually happens when the rifle is rebuilt at an arsenal. These rifles are less valuable than the stamped matching rifles. The prices below are for complete, stamped-matching rifles in original configuration with like-new barrels. Mosin pricing varies widely. 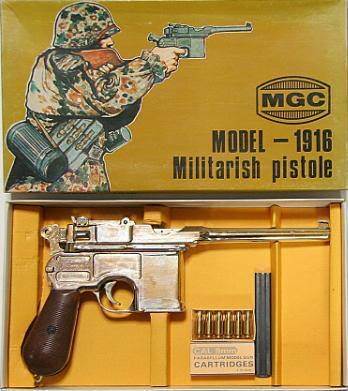 Over the years literally dozens of models were produced, and the levels of rarity dictate the price. As always is true with collector items, stamped-matching variants in original configuration will fetch a lot more than the ones with aftermarket modifications. In the table below lower number is for average condition rifle with mismatched numbers, higher range is for excellent bore and matching numbers. Some variants could be worth a lot more, the numbers are given for common models. See here for the full picture. If you are lucky to possess a rifle that is rare (8, 9, or 10), it would be advisable to ask a question about its valuation on Mosin Collectors forum here. (*) These are exceptionally rare, so there is really no market for these, and so the estimate is very unreliable. Right upfront, this is a field where variations are huge - there are many specimens, especially German, that could fetch many hundreds and especially thousands of dollars. 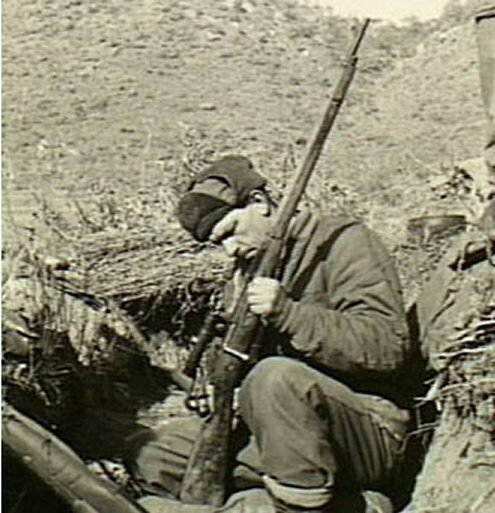 If the rifle is in the original (not re-arsenaled) condition, if it is an original sniper, it really pays to have experts to render opinions on its value. Mauser forum on Gunboards is a great place to start. The prices below assume excellent condition non-sporterized rifles that has been arsenal-rebuilt and so are not collector "gems". Smaller parts are mixed and matched, but major numbers match (may be re-stamped). 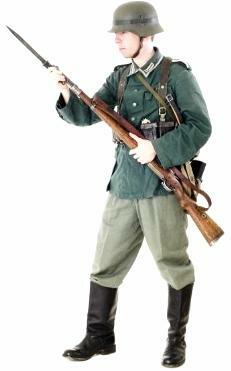 Bayonets are not included (add $25 for Yugo/Turkish/Swedish bayonets, $50 for German/Persian). Subtract $25 for good (rather than excellent) bore. Valuations came from what (usually does not) sell on local gun forums, what is available at Cabela's at the time of the writing, and what you can get online - and for how much. German WWI ? ? ? The overview below assumes semi-automatic AK variants. If you (legally) own a full-auto AK-47, you probably already know that it is worth $25000 or more. You will also be amused to know that in Switzerland you could buy one, legally, for only $800. Almost all AKs available in the US are assembled from parts kits and a US-made receiver and/or barrel. This is because, of course, original, military-issued AKs have fully automatic receivers, and as such are not suitable for the civilian market here. The exceptions are Arsenal rifles, which are made on Saiga barreled receivers in Russia and then made 922(r) compatible here, various other Saiga derivatives, and Century "Centurion" rifles. There is very little experimental proof that some AK models shoot significantly better than others. While early Century-built models had a number of problems - such as canted sights - these problems have also been reported with other builders. If you are buying a high end Arsenal AK, you can be sure that your sights will be alright, and the rifle will feed well, but the accuracy will be very similar to much cheaper models. If you have upgraded your rifle with various aftermarket gadgetry, you are very unlikely to be able to recoup your cost, or even sell the upgraded rifle for more than a base model. There are two reasons for that. First, a lot of people who are buying AKs do not have tons of available cash. Even if they want an upgraded rifle, they would rather pay for the upgrades over time, not all at once. Second, different people like different options, and would rather pick these options themselves. Some like EOTech, some swear by Aimpoint. People who like EOTech would give you less for Aimpoint than a used Aimpoint is worth, and either option is guaranteed to fetch less than its current retail price. The same reasoning why you would be unlikely to fully recoup the cost of a major home improvement made right before selling the house applies here. WASRs are usually sold new on the Internet for $500-$550, at J&G Sales and Centerfire Systems. Add the cost of transfer and shipping, you can figure the total cost to be $550-$600, or $600-$650 including the taxes. This means that if you list a used WASR for $400-$450 it will sell very quickly, if you list it for around $500, it will probably take quite a while, and if you ask for more than $550 it will probably never sell. 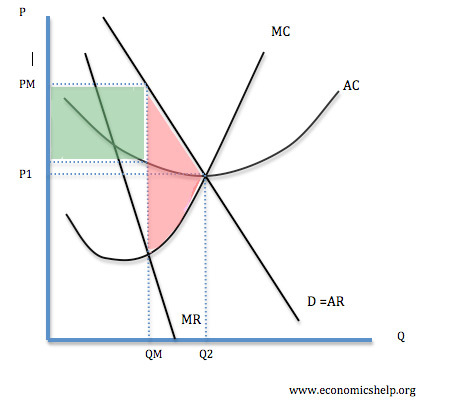 Taking WASR as a base and accounting for base price differences with the other models, we arrive at the following. Almost all AR-15 ads contain a multitude of features - rails, sights, bipods, lights. All of these add up to a lot of money "invested", which would invariably be much less than the asking price. And at the core of it, all ARs are built around very similar lowers, very similar uppers, and very similar parts kits. The only differentiating factors are the quality barrel, the floating handguard, and maybe the trigger. Nothing else matters for accuracy. Not the zombie engraving, not the Magpul stock, not the piston "upgrade", and not even the chromed super-duper-precision-machined-brandest-brandname bolt. 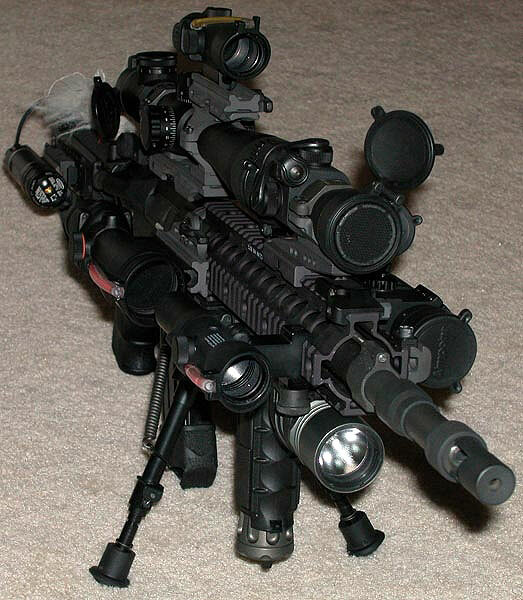 This is actually the genius of AR-15 design. (See The Competitive AR15; The Mouse That Roared ). This is what allows the industry to spit out millions of these things a year - another dynamic that does not bode well with the secondary market price levels. So there you have it. A basic AR clone with an average non-floated barrel with fetch $500-$600 if you want to sell it quickly, $650-$700 - maybe - if you are willing to wait. A brand name AR with a competition grade barrel and trigger - perhaps $700 on a quick sale, $900 if you want to wait a while. Very rarely $1000. This is regardless of options, the numbers of magazines/lights/bipods - take them off and sell them separately, you will make more money doing so. There are exceptions (Les Baer - for accuracy, Colt - for brand, and then there are the true custom-built competition models), but they are very few and far between. I am truly sorry :-(. But please, do not shoot the messenger! Rimfire rifles are basically indestructible - it takes 100,000 rounds (!) to wear out a rimfire barrel, as compared to 2,000-3,000 for a centerfire rifle. This also means that much of the rifles that were made over the decades are still with us, and are still functioning quite well. Plus, the industry makes them by the millions every year. And prices them quite low. 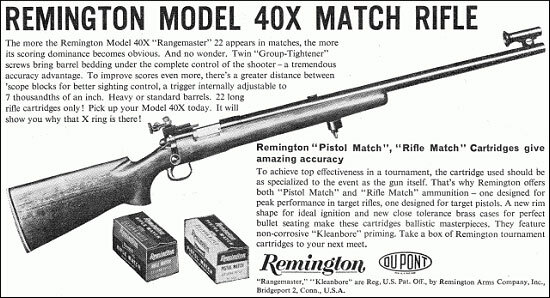 All of this means that the resale prices for rimfire plinkers are not very high - a Remington 514 and the like would sell for $100-$125 at most, and only if in excellent condition. Lever action rifles will bring a bit more - $200-$250 - because of the cowboy action appeal. 10/22 is a very interesting case. The spread between the new and the old ones in the most basic configuration is very, very low. A new one can often be found on sale for $200, and if you list one for $180 it will sell very quickly. But, as is true with AKs and ARs, any upgrade costs are basically unrecoverable: "invest" $300 in a different stock, barrel, and trigger to the total of $500, and you will have major problems selling the rifle for more than $250. This is because the want for upgrades is very individual, and people prefer to introduce them gradually, stretching the costs over long periods of time. If you've got a real competition rimfire rifle for sale, you are in luck! Not only you will be able to sell it quickly, but, especially if you bought it a long time ago, you will probably make a killing. These rifles are the driver behind the popular notion that guns are a good investment vehicle. The reason for prices in this category going through the roof is the scarcity - this whole category of rifles is no longer made in USA. At all. The closest to a competition rifle that is currently made on the whole North American continent is Savage MKII-FVT, and while it is a decent rifle, it is nowhere close to Remington 40x, Winchester 52, H&R M12, or even Kimber 82G. The only competition rifles that remain in production are made by Anschutz, and they start at $1500. For a while, the prices were held somewhat in check by CMP, but now they are completely out, and the only way to get one of these rifles is GunBroker. The prices assume excellent bore and intact sights (Redfield International Olympic or Palma on Remington, Winchester, or H&R). A new Savage AXIS XP combo with Bushnell 3-9 scope is going for $300 these days (for example, here). It's a fairly decent scope, with the street price of roughly $70. Add $10 for the rings, and this means that you've just paid $220 for a brand new rifle from the top manufacturer. Admittedly, AXIS is a lower end rifle - but Savage's Trophy Hunter XP series include Nikon scope - roughly $170 street price - for just below $500. Which means that a no-compromise hunting rifle from Savage can be had for just a tad over $300. And in both cases you have had the optics professionally mounted for free, you get the warranty, and so on. This means that selling a well-used (and with the Pacific Northwest brush, any rifle becomes well-used very quickly) rifle for over $300 is a big challenge. I have been observing a number of older Savages on the board that people were listing for $300+, and they seem to be stuck there for months. So based on what has been selling, here are the price levels that would get the products moving. (*) 30-30; further $25 discount for uncommon calibers; also very significant premiums for truly collectible late 19th early 20th century rifles. (**) Winchester has made very many "commemorative" editions of this rifle (literally, I thing at this point they have "commemorated" just about everything). You can squeeze a little bit more value out of these guns, but not a whole lot - perhaps $450 for quick sale, $500 if you want to wait, and they typically never sell above $600. This is if the rifle comes with original box and paperwork. A good target rifle will fetch a decent price, but it should be sold where people understand what they are dealing with. Accurate Shooter forums (http://forum.accurateshooter.com/) is the best place to get your rifle appraised. Use the main discussion board to ask questions, then appropriate For Sale board to sell. Because of a huge variability in actions, barrels, reputations of the builder, and other features of benchrest and F-class rifles, there is simply no way to generalize it into a table, but I would guess that you should expect to lose 20-30% of the cost of a new rifle if you want to sell it quickly, 10-20% if you are willing to wait. 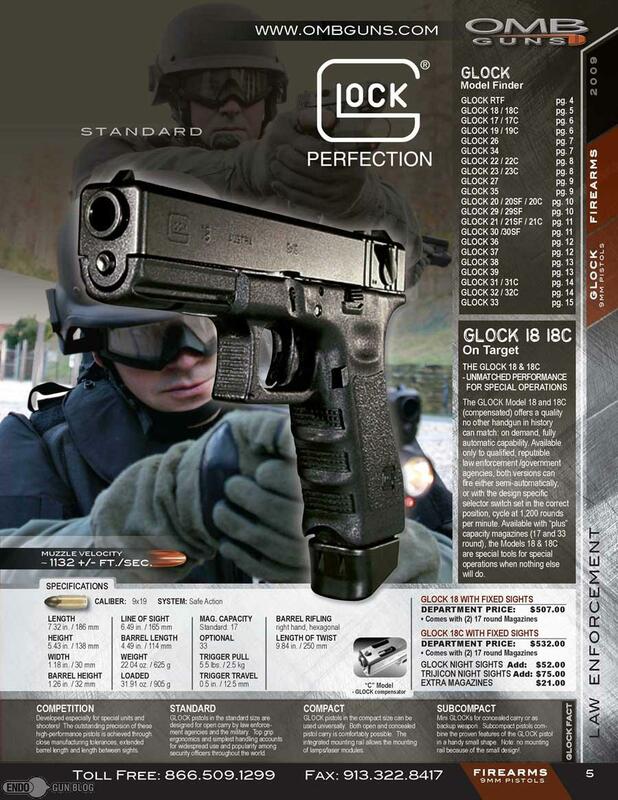 To fully understand the dynamics of the Glock market, you should understand Glock marketing strategy. NPR did a very interesting report on it here. To make a long story short, Glock sells their pistols to police departments at huge discounts, and makes up the profits in civilian market. For instance, a police officer can buy a Glock - for private use - for less than a wholesale price available to dealers. Since PDs rotate their weapons frequently (and with Glocks there is an incentive to tie upgrades to generations), there is a fairly large stream of former police weapons into the surplus market. These guns were carried a lot, shot little, and since the original owners got them cheap, they can be marked up a lot by resellers, and still remain very, very inexpensive. AIM Surplus, J&G Sales, and others often sell Gen 3 Glocks for $360-$380, and Gen 2 for even less - which makes the price to be just over $400 when shipping and FFL transfer costs are factored in. That's the same Glock you've probably bought at one of the local retailers new for $600. The dynamics are similar for other service weapons - Sigs and Berettas. The only difference is price levels - because Glock offers its corporate customers deeper discounts, the prices on surplus Glocks are lower. That's the bad news. The good news is that vast majority, if not all police surplus guns are available in one caliber - .40S&W. If yours is 9mm or a 45, then you do not directly compete with the overabundant and cheap surplus market. You cannot be extremely expensive either, because people do switch calibers when presented with a huge financial incentive to do so, but you have more breathing room. I have to confess upfront that I have only a pulse on the former communist block handguns, because this is what I collect. The estimates are based on what is currently sold online, distributor pricing, and local market. (*) Prices vary greatly depending on condition. So are guns a good investment, really? Many people think about their guns as an investment (the word "invested" is all too present in private sales ads everywhere), yet in my write-up I argue that in many - most? - cases one should not expect to recover what one has paid for it. Just as is the case with all other investment types, it makes a huge difference what you buy, when you buy it, and when you sell it. If you have a scarce asset that is getting scarcer, your asset is growing in value. If your asset becomes more plentiful, the price drops. Applying it to firearms is fairly easy, really. Generic hunting rifles are plentiful, and with steady production by modern arms manufacturers, there is not going to be shortages any time soon. Furthermore, they have almost indefinite longevity: a barrel of a hunting rifle that is shot ten times per year will have a useful life measured in centuries if properly maintained. The lifetimes are limited more by availability of ammunition than anything else. This is even more true for rimfire plinkers, whose barrel life is measured in hundreds of thousands rounds. So buying a hunting rifle for $600, adding scope and rings for another $100, getting the optics professionally mounted for $100 more is not an investment: you will end with something that cost $800, yet can only be sold for $400 the moment it leaves the gunsmith's shop. Note that I have said "not an investment" rather than "not a good investment". The semantics is important: you are buying the rifle to accomplish a certain task (hunting). Unlike a stock share, the rifle has an independent purpose. It is not supposed to make money in the first place, so it is OK for it to be worth less on the open market, as long as it provides utility to you. The logic is similar for plinkers and target rifles. You are not buying them to make money. You are buying them to shoot, presumably, because you enjoy shooting. You are buying them for entertainment. "Investing" in them is the same as investing in DVDs - you will lose a whole lot of money if you try to do this. In all of these cases you should not think about it as an investment, or you will be disappointed. There is, however, one investment vehicle that is open to gun enthusiasts, and it is the military surplus market. Military surplus works in waves. A warehouse gets decommissioned, very large amount of a particular type of a firearms is imported by a boatload, it all hits the market at once, and the prices are low because the importers need to get the return on their capital, and fast, but the market is temporary saturated. This is the opportunity to pick up a bunch of firearms cheap, and these are the ones that will actually be a good investment once the infusion have dissipated and the market corrects. That's how people bought Soviet SKS'es for $80 in the nineties, and M44s for $50, and Mosins for $35, and Remington 40x for $200, and Dragunovs for $1000. Mind you, it does not mean that any of your military surplus purchases will grow in value - not at all. The two necessary conditions are (a) the firearm should be plentiful and cheap, and (b) this should be a temporary state. For instance, Soviet M91/30 Sniper rifles are generally available right now, but they are rare, and the prices are high. Recently, more have been imported, and the prices actually dropped, so the people who bought their guns from RGuns for $800 have seen similar or better ones available from AIM for below $600. Before Yugo SKS were plentiful, they were rare - and sold for $800. That was $800 in 1980s money - this is more than $800 now. The second condition (that the plenty is temporary) is best illustrated by Sigs and Glocks. These guns have been in police and military service for years, and they have been slowly rotated into civilian markets for a very long time. The supply is steady, and for as long as they remain in active service, it will so remain. So don't expect prices to rise significantly. The fall of the Soviet Union was one monumental event which created a lot of these opportunities. Changes in import regulations (both for better and for worse) can have similar effects. Creation or cancellations of Army programs (such as small-bore marksmanship), shifts of PDs from revolvers to semi-automatic pistols, et cetera. If you look for these, you will make money. Because these events are few and far between, it is not a sustainable way of making money, of course. 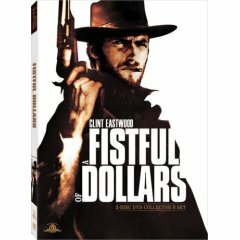 There is one sustainable way to lose money, however, by speculating in firearms, and it is the participation in buying stampedes tied to Presidential elections. The truth is, there is NO MONEY in restricting firearms ownership in the US, so there is no political party that is truly interested in it. Some occasionally pay lip service to it, but just like the abortion posturing on the Republican side, there is very little evidence that Democrats are interested in actually doing anything anti-gun. There is, however, a LOT of money to be made in creating fear and getting people to buy a much as possible, as close to MSRP as possible. This is exactly what's been played out during the Obama scare. Nothing came out of it, of course, except a lot of fools being separated from their (usually, hard-earned) cash. Do not be one of them next time :-).